We appreciate donate support from these pilots: Frank Lukas (FL), Rainer Gromzik (RG), Winfried Deppe (WD), Lars Zinnkann (LZN), Lukas Schaffler (LSX), Dmitriy Balykin (BAD), Janos Cservenak (HWK), Marius Pluscauskas (PM1), Tomasz Zwolinski (TZ2), Dariusz Banucha (WY) and Sönke Neumann (SN). Thanks goes to all pilots for joining us here in the sky over Norway and special thanks to Radek (RUM) for tasksetting and Peter (7P) for hosting condor servers. Big thanks goes also to Arne-Martin (AXM) - author of great Norway scenery. CU next, friends! 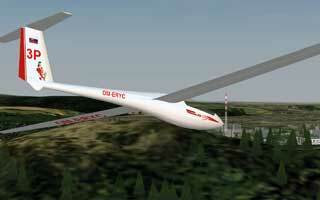 Welcome to our website of another virtual soaring competition at virtualsoaring.eu. We have prepared another competition - second edition of Open Class Contest. Elvenes is our start/finish airport for this competition. We will race in OPEN CLASS with PDA, serverstart always at 20:00 CET (19:00 UTC). Overall results is simple count of all 6 tasks. Attention: choose carefully glider type in registration - with registered glider type you have to fly all task! More informations about competition in Rules section. This competition is continued line of successful competitions like Fatra Gliding Cup, Medlánky Condorworld Cup, Liptov Shepherd GP, Praděd GP Gliding, Raven Competition, Kiwi Race and OCC. Please - give your attention to the rules! You will need to register, server password will be published in briefing. After each race you must send IGC file.